What do the research scientist at the Detroit Institute of Arts, the chief information officer of the city of Detroit, and the planetarium coordinator and staff astronomer at the Michigan Science Center have in common? All three are women who are helping transform the fields of STEM (science, technology, engineering, and math) in Detroit by making important discoveries, incorporating innovative methods, and using their skills and technology to inspire the next generation of scientists. The statistics for women in STEM are dismal—in 2014, women represented only 24 percent of the engineering workforce, 36 percent of the computing workforce, and 18 percent of the advanced manufacturing workforce. But there’s hope in Detroit. In their respective fields, Cathy Selvius DeRoo, Beth Niblock, and Paulette Auchtung are working to change the way we view the world—and through their visibility and hard work, they have the power to inspire other girls and women with the potential to change lives through STEM. Cathy Selvius DeRoo has been a research scientist at the Detroit Institute of Arts for 10 years—and since 2009, she’s been the DIA’s only research scientist. Her work brings together history, art, and science to find answers that shed new light on culture-defining artwork. Selvius DeRoo first got involved with the DIA as a volunteer, working in the education department and volunteering in the lab. A research scientist position in the conservation department became available, and the rest is history. There is no average day on the job for Selvius DeRoo. 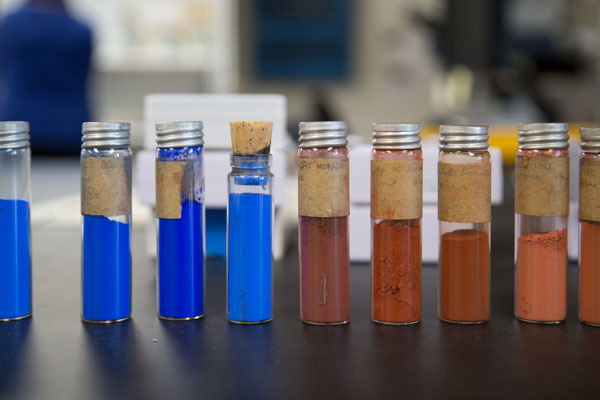 She is responsible for the analysis of all artist materials—including pigments, metal alloys, building techniques, and more—from cultures across the globe and time periods spanning millennia. All of these diverse works of art find their way to the conservation department, which keeps Selvius DeRoo's job interesting and constantly presents her with new challenges. Selvius DeRoo works on multiple projects at a time, collaborating with other conservators at the DIA. 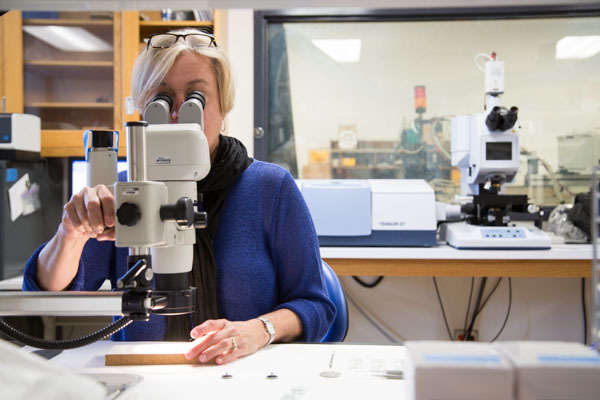 And because there are so few conservation scientists in the Midwest, Selvius DeRoo regularly collaborates with other scientists and universities and museums across the region, including the Toledo Museum of Art and the Cleveland Museum of Art. Selvius DeRoo is currently working on drawings by renowned painter Diego Rivera. “I’ve been working with the paper conservator to take minute samples from these drawings and analyze the drawing materials, charcoal, red ochre pigment, and other materials to understand Rivera’s working methods,” Selvius DeRoo says. Selvius DeRoo believes that school programs and, most importantly, families should be influential in encouraging useful STEM traits (e.g. curiosity, resourcefulness, and creative problem) in girls at a very young age. She invites people not to take a narrow view of STEM training, especially because scientists typically don’t work in the same field forever and there are so many options for scientists—from flavors and fragrance, to food safety, to archaeology and art museums. Beth Niblock is the city of Detroit's chief information officer (CIO). Like Selvius DeRoo, although she works in science and technology, she is a big proponent of the arts. In fact, she prefers to refer to the collective fields as STEAM, with an “A” for the arts. Niblock later became involved with Detroit government when she was recruited by the Obama administration to join a small delegation of top technology officials that worked together to make recommendations for the city. The team was led by the White House Office of Science & Technology Policy, and the officials worked to identify specific ways to grow and improve city services through the use of information technology. In 2014, Niblock, then CIO of Louisville Metro, a position she'd held for 11 years, was recruited by Mayor Mike Duggan to become Detroit’s first chief information officer. 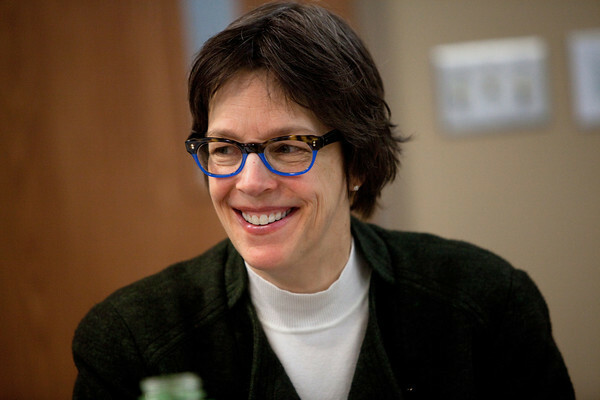 Her daily job responsibilities have significant, far-reaching impacts for the city of Detroit. Niblock describes her work as “directing all the technology that we use in the government, along with the people who have to use the technology.” This includes desktop computers, the network, public safety, financial management, HR, and everything in between. “I’m in a lot of high-level strategy meetings about what we need to do to position Detroit for the future,” Niblock says. For instance, Niblock is leading a major open data initiative as a part of Mayor Duggan's push for more transparency in city government. When she first started on the job, Duggan issued an executive order for the creation of GO DATA (Government Open Data Access to All). With Niblock’s leadership, the people of Detroit can now publicly view police data, demolition data, building permit data, and more information about city government operations and service delivery. The data are machine-readable and can be analyzed, downloaded, redistributed, and more. Among other accomplishments, Niblock and her team have also improved the city’s website, redesigning it in an incredibly short time period and making it mobile responsive. Now the people of Detroit can access crucial information about their city anytime, anywhere. In addition, Niblock and team will soon be done rolling out new computers to all people who work in city government, empowering them with remote desktop management and standardizing office productivity. Niblock encourages girls to think about how they can change the world. “We want to have more women come into STEAM,” she says. “We need to catch girls earlier in school and really get them involved.” Niblock believes in increasing the visibility of women through powerful campaigns—like #ilooklikeanengineer—to showcase the diversity of women in STEAM fields and inspire people to rethink the traditional face of science as male. Organizations like Sisters Code are other great ways for more women to get involved. Paulette Auchtung's interest in STEM started when she was a child living in rural Wisconsin. “My dad and I would go outside and look at the constellations and any special astronomical events that were going on,” Auchtung says. “I was able to see meteor showers, the northern lights, and lunar eclipses as a kid.” Her passion only grew stronger after a visit to the planetarium in the third grade. Auchtung took advanced math and science classes in high school, and later attended University of Wisconsin-Stevens Point, where she pursued a degree in physics and worked at her university’s planetarium, teaching local schoolchildren about the night sky. During her college career, she did research on asteroids and dark matter. Later, Auchtung’s educational travels took her to an internship at the Broward College Buehler Planetarium. “It really helped me to realize how much I loved education in a nontraditional setting,” she says. Auchtung’s job responsibilities vary, depending on the day. A couple of days a week, she presents shows to the public or school groups at the planetarium. 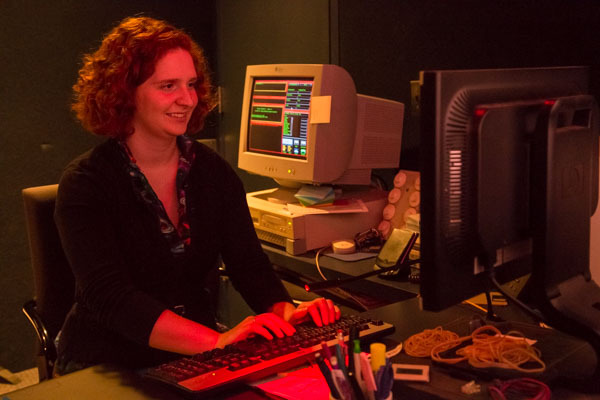 On other days, she programs new shows and content, fixes equipment, and works on other administrative tasks that keep the planetarium operating effectively. Auchtung acknowledges that it can be difficult to get girls involved in STEM—particularly with the challenges of overcoming traditional gender roles and the idea that STEM fields are only for boys. She believes in the importance of fueling girls’ curiosity through hands-on, informal learning experiences provided by Michigan Science Center and other museums. This piece is part of a series highlighting Detroit's role as a hub for STEM education and careers in Michigan. It is supported by the Michigan Science Center. Allie Semperger is a Michigan-based freelance writer. Photos by Marvin Shaouni. Photos of Beth Niblock via SmugMug.